The Outdoor Adventure Company offers families the opportunity to spend time together in the beautiful Lake District outdoors - and experience pure fun! Refreshments are included with your day including, mineral water, fresh coffee and homemade cakes and biscuits. Activities for 8 years upwards. additional children can take part at an additional cost of £35 pp. We do not mix groups, you will receive complete exclusivity. Archery is a superb team and individual activity. 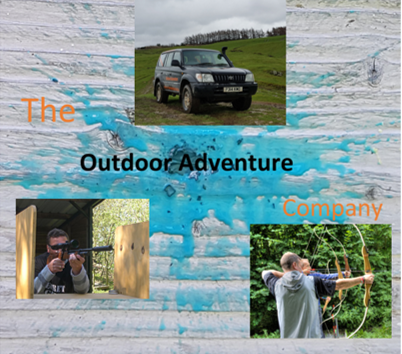 At The Outdoor Adventure Company, taking aim means setting your sights on the latest equipment and excellent tuition. Our instructors will take you to the purpose built archery shelter where you will be given a full safety briefing and the best technique to achieve the highest scores. You will be supervised and advised throughout the session to improve your technique. ​Air Rifle Using our .22 air rifles with telescopic sights, you will be taken to our woodland area and given full tuition on how to hold and take out our simulated animals by our fully qualified and experienced instructor. After successfully accomplishing this hunting style of shooting you will then move onto sniper shooting at targets where you will be able to see exactly how much you have succeeded in your shooting experience at The Outdoor Adventure Company. Really enjoyed the experience. Staff very friendly and accommodating, their attitude was relaxing and made the whole thing a pleasure. Can't wait until next time. Booked this for my husband and 3 sons they all thoroughly enjoyed the experience. My sons are already planning to go again and take their wives along. I just wanted to thank your team for a great afternoon with you yesterday. Will, Abby, Imy and I had a great time, thank you. Special thanks to George who got on famously with Abby! We all thoroughly enjoyed the experience and would highly recommend to others. Absolute brilliant day, staff couldn't do enough to make my boys birthday day out any better, will definitely be booking again, thanks everyone.